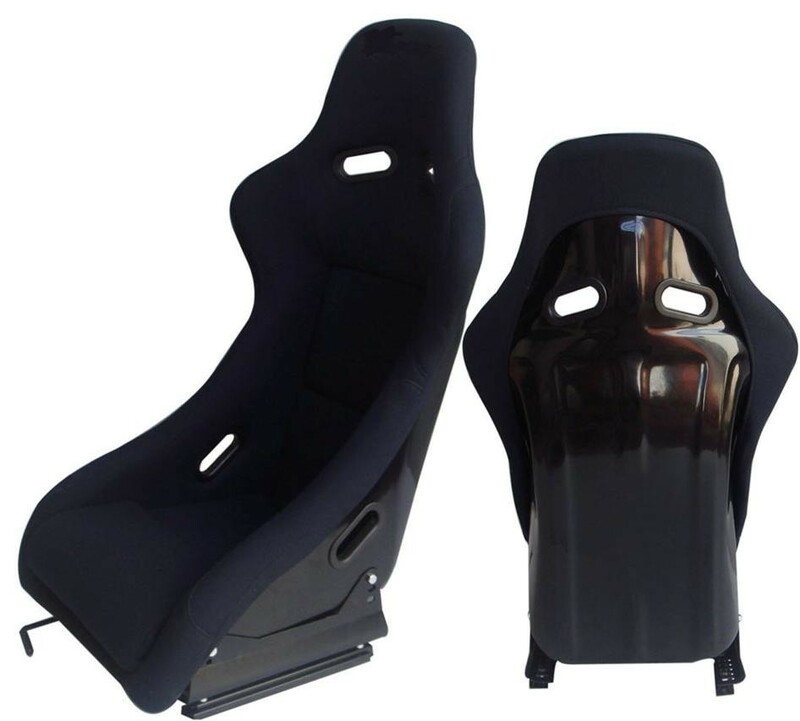 Seat Frame: Black Carbon Fiber, FRP , Carbon & Kevlar,Silver FRP material to choose. Inside the Seat: High-resilience Foam and Bilateral Stitching provide comfortable experience. Strong, durable steel frame covered with comfortable Injection-molded Foam and Woven Upholstery. 25% lighter than similar models such as the Brix II. 91% of the product is handmade. Professional for racing , ensure drive safety and stability. Easy Installation and years of duration. Built-in slots for racing belt harness (racing belt harness sold separately). Every tuned car focuses on performance or suspension, but if you are going to race, what good are those mods if you have no control over them? You will be constantly sliding on your factory seats at the corners, or leaning in the opposite direction of the way you're turning. It is time to get a pair of racing seats. With higher leg and upper body supports you'll be comfortably seated in the perfect position at all times and in all situations with reduces of the risk from misjudging distance and losing control. Our racing seats are easy to install and offer the reliability of stock seats. These seats are also made for using with 4, 5, or 6 point racing seat belt harnesses. Brackets are required to install aftermarket seats. We're one of the leading professional manufacturers of racing seats, air filters, gauge pods, switches and other accessories in China. The products are mainly sold to clients in the USA, Italy, Brazil, and Canada, and we have won the favor and trust from masses of users. Our company is located in the Rui'an City, which is at the Shore of East Sea, near the Feiyun River, and just 38 kilometers away from Wenzhou Airport. The communication is very convenient. Exports as % of total sales (please , identify countries)?